OS 7 now consists of 52% of the BBOS market. This is a very slow uptake when compared to BlackBerry 10, but at the same time it is continuing to inch forwards. This data was collected by BlackBerry World for downloads of the free BlackBerry strategy game Pixelated. 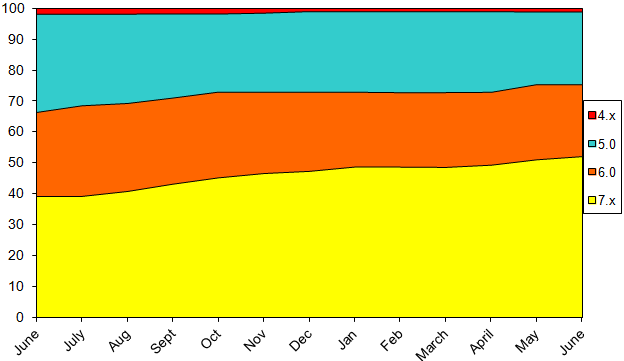 Data shown on the chart is from the beginning of June 2013 through the end of June 2014, and does not include BlackBerry 10 or PlayBook devices.